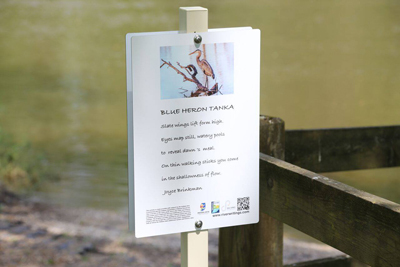 Grab a better understanding of the ecology of Prophetstown State Park on a hike through prairie, wetland and river bank to hear and see the poems created along a paved, one-mile trail. Saturday, June 2, 2018, at 2 pm. Meet at the beginning of Trail 3, on the far eastern side of the park. Parking lot nearby. Little Guardians is an all ages fantasy adventure graphic novel series published by Scout Comics. 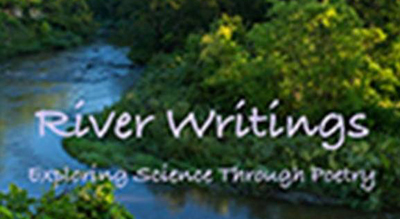 Thursday, June 7; 7 p.m.
225 W. Hawthorne St., Zionsville. 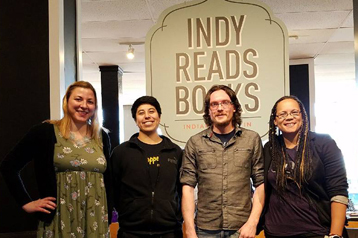 Brick Street Poetry presents Indiana Poet Laureate Adrian Matejka, who was born in Nuremberg, Germany and grew up in California and Indiana. 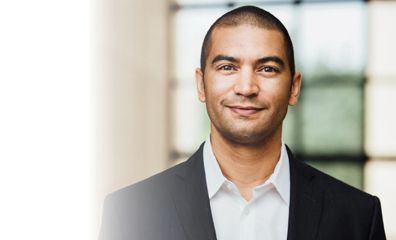 He earned his BA from Indiana University and an MFA from Southern Illinois University Carbondale. His first collection of poems,The Devil’s Garden (2003), won the 2002 New York / New England Award. His second collection, Mixology (2009), was a winner of the National Poetry Series. Mixology was a finalist for a NAACP Image Award for Outstanding Literature. The Big Smoke (2013), which focuses on the life of the boxer Jack Johnson, was awarded the 2014 Anisfield-Wolf Book Award and was a finalist for the National Book Award and Pulitzer Prize. His most recent book is Map to the Stars (2017). Matejka is the recipient of fellowships the Guggenheim Foundation and the Lannan Foundation. He teaches creative writing at Indiana University in Bloomington. Matejka will be presenting his student Chudeni Oputa. An open mic follows. Free. 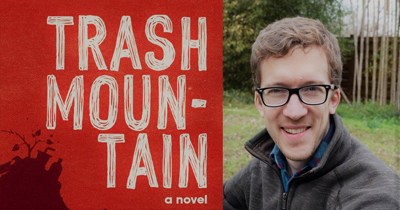 Join author Bradley Bazzle as he reads from his debut novel, Trash Mountain, winner of the 2016 Red Hen Press Fiction Award, judged by Steve Almond. Ben Shippers doesn’t have much use for school, friends, or any members of his family except his smartass sister, but he has a secret passion: Trash Mountain, the central feature of the noxious landfill next to his house. After a botched attempt to destroy Trash Mountain with a homemade firebomb, Ben begins a years-long infiltration that finds him dropping out of school to work alongside homeless trash-pickers, and then, finally, interning at the very place he meant to destroy. Ben’s boss there, a charismatic would-be titan of sanitation, forces Ben to choose between providing for his family and sticking to his terroristic principals. With dark humor, Trash Mountain reflects on life in small southern cities in decline, and on the search for meaning among young people without adult examples.